Chelsea will reportedly demand in excess of £100m for Eden Hazard if Real Madrid make a concrete offer for the Belgian this summer. The 28-year-old has been linked with a move to the Santiago Bernabeu for several seasons and added fuel to the fire when he revealed in an interview with RMC Sport that he had now made his decision over his future. The ​Evening Standard now report the Belgium international is intent on pushing through with a move to the La Liga giants, but that ​Chelsea will look to stand firm on any interest. The report adds the Blues have placed a £100m price tag on the winger, despite his current contract at Stamford Bridge expiring next year. Maurizio Sarri's side had already prepared a new offer well in excess of £300,000-a-week to extend his stay at the west London club, but contract talks with Hazard have since been delayed. The Belgian revealed after last summer's World Cup in Russia that he wanted to leave the club, but ​Madrid did not make an official offer after the Blues indicated that it would cost in the region of £200m to sign him. Hazard has been Chelsea's most important performer so far this season, contributing 12 goals and ten assists in 24 Premier League appearances with the Blues currently sitting fourth in the table. 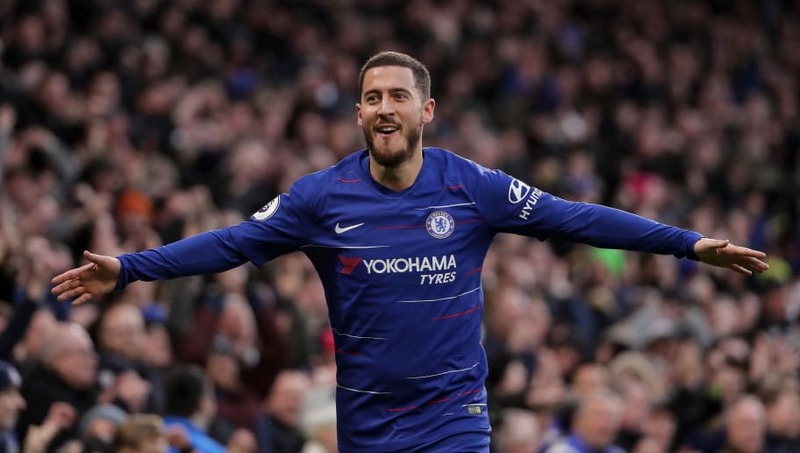 Since arriving from French side Lille in 2012, Hazard has enjoyed great success at Stamford Bridge, winning the ​Premier League on two occasions, also lifting the FA Cup, League Cup and Europa League.